Tim Stambaugh has been a fixture on the North Carolina bluegrass scene for nearly two decades. His experience and dedication to his craft allows him to assemble the perfect show for any occasion or environment. 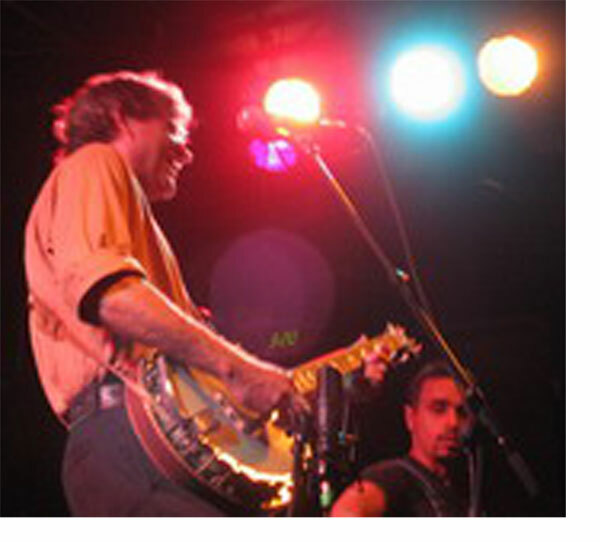 Tim learned to play the banjo and guitar while growing up in the blue ridge mountains near Asheville, NC. He relocated to Chapel Hill in the late eighties to play banjo with Sugar Hill recording artists The Shady Grove Band. In the early nineties, Tim went solo, assembling a rotating cast of crack bluegrass instrumentalists to complement his vocal stylings. The Tim Stambaugh Band has released several full length recordings including Russian Blue (1992), Driftwood (1997) and Half a Heart (2004). Tim has toured the world with his music several times including a stint playing and recording with the German bluegrass band Catch-a-Touch and extended tours in Taiwan and Eastern Europe with the Tim Stambaugh Band. A consummate performer, Tim entertains fans of all ages with his easygoing, down-to-earth manner and multi-instrumental talents.